I grew up on John Hughes films, liking and relating to some more than others. I vividly remember watching Sixteen Candles on TV (I'd already seen it at the theater so I knew what all the bleeped out language was) and my dad walking into the room, pausing to watch a scene, and then commenting that if I used that kind of language (apparently he didn't have to see it in the theater to know what Molly Ringwald's character said) they'd forget my birthday too. Obviously Hughes was not the voice of my parents' generation. But in many ways, he was of mine. As much as I can still connect many of his movies to specific moments in my life, I would never have thought to write either a memoir about him or a memoir about the impact his movies had on my life as Jason Diamond did. That the book was originally conceived as the first but then became very much the second made it just that much more interesting to this fellow movie watcher. Diamond grew up in the Chicago suburbs that Hughes immortalized in his movies at the very time that Hughes was capturing them. Diamond identified with these movies and the man who made them, using them and music as an escape from his own very unhappy childhood and adolescence. John Hughes excelled at capturing teen angst. It seems it was this feeling above all others that resonated with Diamond, although given his estrangement from his abusive and neglectful parents and his eventual homelessness while still in high school, he wasn't actually facing the sort of angst that Hughes' characters face, instead he was facing true and deep problems. But the movies' generally positive (hard to call them happy in some cases) endings, gave Diamond hope in what was otherwise a rather hopeless situation. 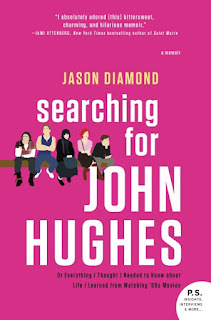 Diamond struggled to define himself outside of his parents' negative and brutal definition of him so he uses certain of Hughes' characters to try and make sense of who he is throughout the pages of this memoir. After escaping his unhappy history in Chicago, Diamond moves to New York where he finds a succession of low paying, easily replaceable jobs. He is still adrift and ashamed of his life when discussions with friends and a reading by a medium encourages him to tackle a comprehensive, unauthorized biography of John Hughes. Chasing after his dream of writing a book, researching the pop culture icon, trying unsuccessfully to interview those who worked with Hughes, and making a deep dive into the movies consumed years of Diamond's life. Even immersed in this project, Diamond still struggled but the project allowed him the chance to recount and accept his past on the way to a better and happier life. This memoir is not so much about John Hughes. 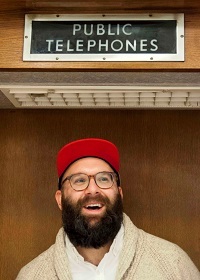 It is very much about Jason Diamond. It is personal and hard and what he lived through is dark and depressing. Insecurity and self doubt wind through his terrible teen years and on into his twenties. The small hope of Hughes' movie endings seems to be beyond his reach so very often but somehow, even so, those movies pull him through. The memoir is very introspective and some of Diamond's drifting is hard to read. It's tough to stay with an author who is so unhappy and filled with shame and anger but his recounting of his early life certainly explains why he is trapped in this place. 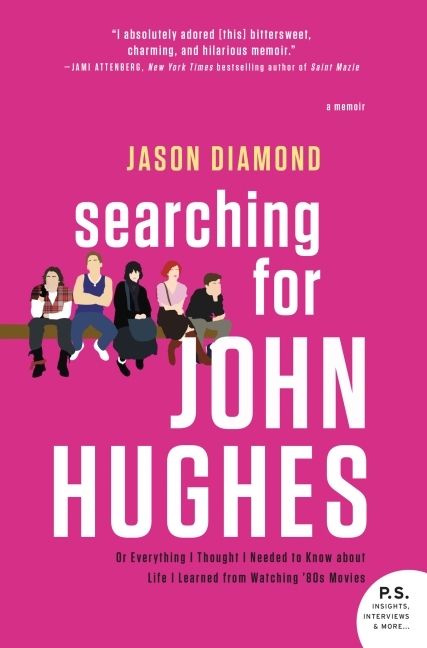 I'm not sure how relatable the book would be to someone not of his generation but for those of us who grew up in the John Hughes era as Diamond did, this will strike a chord for sure. For more information about Jason Diamond and the book, check out his author website or follow him on Instagram or Twitter. Also, check out the book's Good Reads page, follow the rest of the blog tour, or look at the amazon reviews for others' thoughts and opinions on the book. I have a copy of this. I'm glad to read your review as I wasn't expecting it to be so dark and depressing! I might postpone it until I'm in a better place myself.